This week, I’m out at in Las Vegas for the 20125 VeeamON conference. 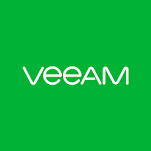 I wasn’t sure what to expect, as this is my first time, but let me tell you, Veeam has done a great job. 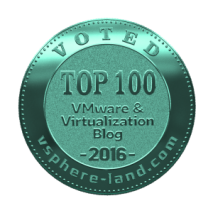 More posts for VeeamON this week, but this one is going to focus on new features that were announced for version 9. Backup directly from storage snapshots, making your time on VMware snapshots limited. Netapp and HP already supported. Just like Cloud Connect for offsite backups, now you can utilize a Cloud Connect provider to act as your DR site. This continues to utilize a single port, SSL 443 to the remote site. When you failover a whole site, or a single VM, you can maintain IP connectivity without re-IPing the VMs, as Veeam will work as a proxy for network traffic, virtually extending your L2 network to those failed-over VMs. Now, if using an NFS data store in vSphere, you can do backups directly from the SAN via NFS, just like direct SAN backup for block storage. This feature started from the Netapp integration, and now extends to all NFS solutions. HP Catalyst now supported to HP StoreOnce appliances. Like DDboost for DataDomains, now Veeam is aware of the deduplicated blocks on the appliance, and no longer needs to send unnecessary bits to the appliance. DDboost 5.6 support, and DDboost over WAN now supported. Per VM backup streams for deduplication appliances. This allows multiple IO streams from Veeam to the deduce appliance, instead of a single stream. Deduce appliances are setup to receive from multiple stream, but max out a single stream quite quickly – for instance, Data Domain will max a single stream at about 150MB/s, but can do 4 times that when using multiple streams. Now, each VM will have it’s own VBK file and chain, instead of all VMs in the job being grouped into a single VBK chain. 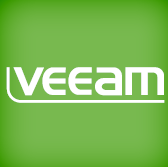 Veeam Explorer for Oracle now announced. Granular Oracle database restores. Explorer for Active Directory – Now able to recover Group Policy Objects (GPOs), AD integrated DNS zones, and Configuration partitions. Explorer for SQL – Now able to recover individual tables. Stand alone console – no need to remote into the Veeam server. Now, you can install a console on your workstation, and access remotely. Pushing agent to VMs can now be accomplished at the remote site, instead of over the WAN for each VM. Parallel processing to multiple drives now supported. Scale out backup repository allows you to utilize multiple backup repositories as a single repository. Now, when adding storage, no need to edit jobs, or size for future growth. You simple add another repository into the scale out repository. Backup jobs automatically updated to use the scale out repository when already using a member repository. Options to keep VM chain on the same member repository to help negate data loss. 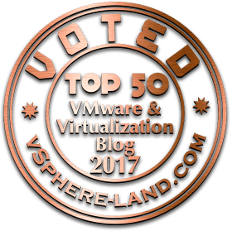 VBKs per VM instead of per job – allows for the backup to write to all repositories in parallel to increase performance. Due to image backup, not file backup, we were backing up blocks of files that were deleted from the MFT, but not yet removed from the disk. Ability to exclude directories of files in the VM from the backup. Masking allowed to exclude particular types of files. Adds RAM overhead to running jobs. These are LOTs of great features that have been added into a great product. I’m thoroughly looking forward to getting hands on with them in my lab, and will have more posts for these features.